Yesterday morning, I drove Dan to the airport. After spending so much time worrying about where to turn and which lane to take, I suddenly found myself watching him remove his bags from the trunk. I realized how much I would miss him, even for the few days he’d be gone. “I’ll call you as soon as I get there,” he said, and after one last hug, he was gone. Longing. You’ve experienced that feeling, haven’t you? Longing to hear your loved one’s voice, longing to see their face, to feel their presence. We know that every person who loves another, is familiar with that longing. And yet, as often as we say, “Jesus loves you,” how often do we realize that “Jesus longs for you”? 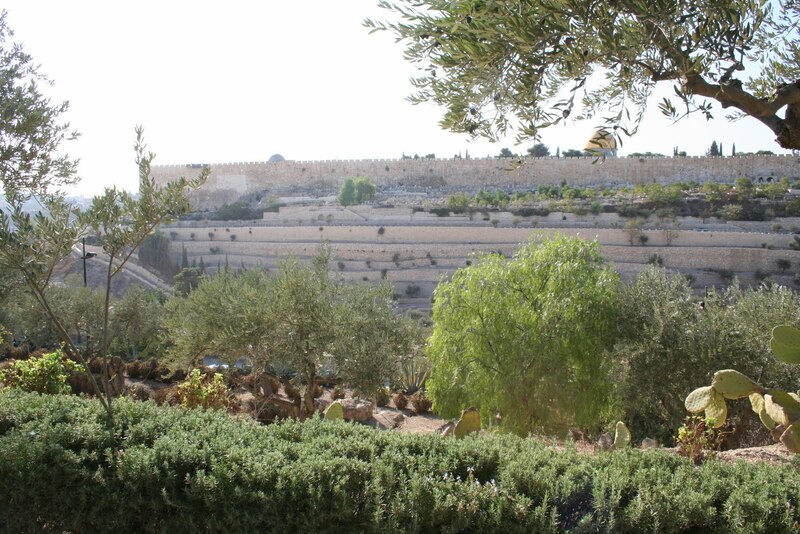 The thought that Jesus longs for me became so much more feasible once I had visited the Holy Land. Before that, I had sort of idealized Jesus in my mind. He had been much more divine than human to me. But after my pilgrimage, I couldn’t imagine anyone who had lived by the Sea of Galilee who wouldn’t have missed the sight of that beautiful sunset. After having jumped from rock to rock on the seashore, having “watered” the Garden of Gethsemane with my own sweat on a hot afternoon, having laughed and eaten with the descendants of the first disciples, and having crawled on my hands and knees to enter His empty stone tomb, I had such a connection with the person of Jesus Christ. So now I know: When I enter a chapel with the Blessed Sacrament—the consecrated bread that has become the humble host of the Body, Blood, Soul and Divinity of Jesus—I smile as I look at the Tabernacle. I know He loves me! I know He will miss me when I leave. As much as you could theologize or philosophize about it, I know that the Truth is essentially simple: God is the greatest lover of all. Jesus, who is both God and man, not only loves with perfect love, but loves as a human being. When you’re far from Him, He longs for you. What comes to mind when you think about Jerusalem? I immediately think about Jesus, the Apostles and what occured in Jerusalem -the Passion of Christ, His Resurrection and the birth of the Church. And so the name – Mother Church! 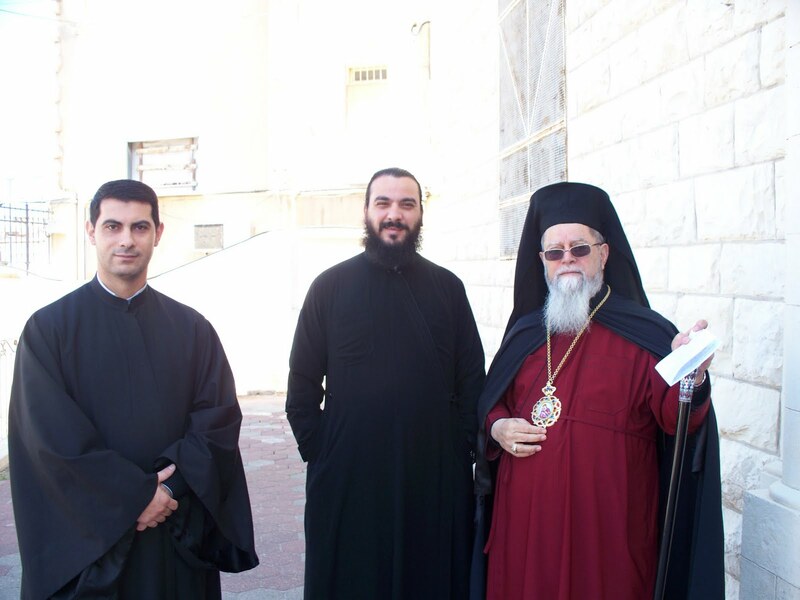 From the Mother Church in Jerusalem a call for unity to churches worldwide is echoed. The Christian communities have begun a week of prayer on January 22nd and will continue through the 30th. Each evening; Christians will gather in various churches; Lutheran, Roman Catholic, Ethiopian, Syriac Orthodox and others to pray. The theme of the prayer week is “They devoted themselves to the Apostles’ teaching and fellowship, to the breaking of bread“. I remember when Tom and I participated several years ago. Standing next to Greek Orthodox, Coptics, Protestant and fellow Roman Catholics as we prayed for unity and for peace among all in the Holy Land and throughout the universal church gave me hope! It prompted us to see each other first as a child of God. They also ask that we remember them in their dire situation and pray for justice that will bring true peace in the Holy Land. We have heard people tell us – “There will never be peace in the Holy Land!” Our response must be that of faith and hope! If we don’t respond, then we too, will fall into a lax attitude toward our brothers and sisters in Christ that will contribute to their diminishing numbers!